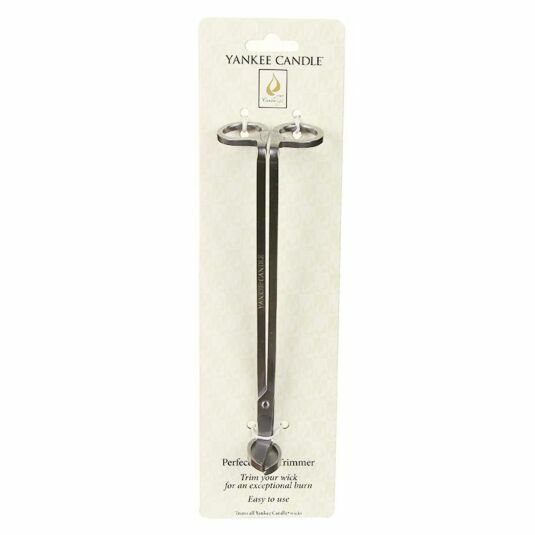 Keep your favourite Yankee Candles burning to their fullest whilst ensuring they burn with no soot using this wick trimmer from Yankee Candle, the perfect accessory to add to your collection for that clean burn all the time! The metallic silver trimmer allows you to trim wicks safely, with an elongated length and easy grip handles. 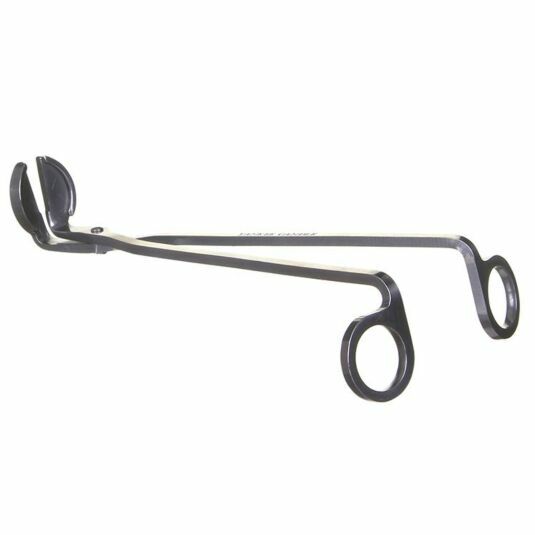 The bottom of the piece features the trimmer, which is shaped into a circle with raised edge to catch the trimmed part of the wick. This piece is suitably finished with an engraved 'Yankee Candle' logo running down the side of one of the arms.